In the past, a “sample” design test consisting of Outlook 2003 and Gmail was offered at no charge. In response to changes made by our design test service provider, we are discontinuing these sample tests. 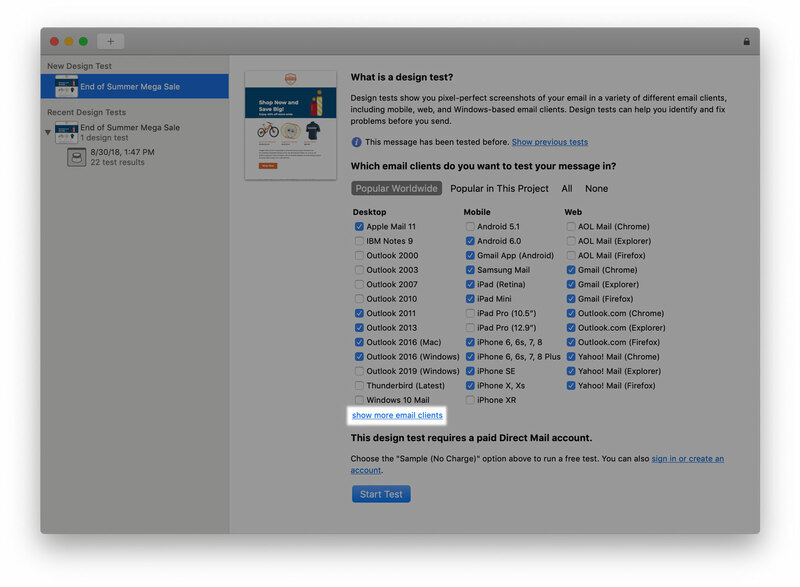 If you’ve never used the design test feature and would like to see an example, check out the sample project that comes built-in to Direct Mail. Just choose “Help > Explore Sample Project” from the menu bar at the top of your screen. After the project opens, click the “Design Test” button in the toolbar, or choose “Window > Design Tests” from the menu bar.